Sign up with your email address to receive news on adoptions, new fosters, events, and volunteer opportunities! Flint City Pits is a foster based dog rescue that exists to rescue, rehabilitate, and rehome some of the most vulnerable animals in Genesee County. While not restricted strictly to pit bull and bully breed rescue, they are the focal point as they make up the largest demographic of at-risk dogs in the area. We strive to work in partnership with local trainers, a network of volunteers, other rescues, and Genesee County Animal Control to save lives, as well as to train, educate and equip responsible pet owners. Click the link and you can choose Flint City Pits as the charity that amazon.com will donate to from every Amazon purchase you make! Now partnering with BarkBox! Donations made to Flint City Pits off every new subscription! Click the link to learn more! 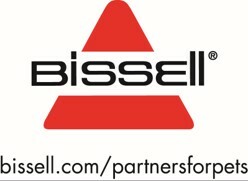 Buy a new vacuum cleaner through Bissell's website and they will donate to Flint City Pits! Click the link to learn more! Flint City Pits is a charitable organization. All the work we do is made possible through the kind gifts of people like you. All gifts are tax deductible, and are greatly appreciated.